Since its foundation in 1952, THE ATTINGHAM SUMMER SCHOOL has enjoyed outstanding success and is highly regarded by museums, universities and historic preservation societies throughout the world for its careful selection of members, and sustained academic standards. To EXAMINE the architectural and social history of the historic house in Britain and its gardens and landscape setting. To STUDY the contents of these buildings – their paintings, sculpture, furniture, ceramics, silver, textiles and other applied arts – as well as the planning, decorative treatment and use of the interiors. To STIMULATE debate on problems relating to the conservation and presentation of the country house and its contents. The 68th Attingham Summer School, an 18-day residential course directed by David Adshead and Tessa Wild, will visit country houses in Sussex, Oxfordshire, Derbyshire, Nottinghamshire, Bedfordshire, Buckinghamshire and Cambridgeshire. From WEST DEAN, the Programme will include, amongst other houses and gardens: the complex overlays of ARUNDEL CASTLE, the ancestral seat of the Dukes of Norfolk; PETWORTH HOUSE, where the patronage of great British artists such as Turner and Flaxman enrich its Baroque interiors; UPPARK, a Grand Tour house; STANDEN, an Arts and Crafts reinterpretation of the country house and BROUGHTON CASTLE, a moated and fortified manor house. 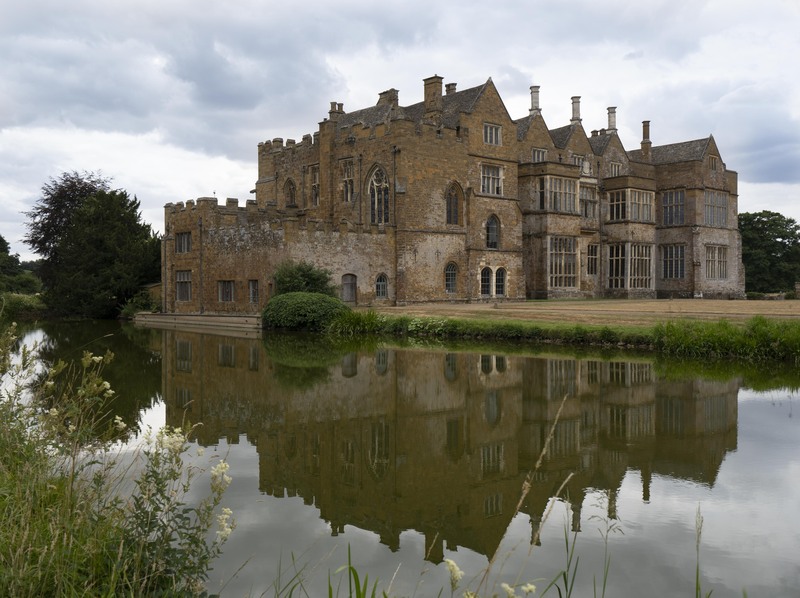 In the Midlands a series of related houses will be examined: HARDWICK HALL, unique amongst Elizabethan houses for its survival of late 16th century decoration and contents; BOLSOVER CASTLE, a Jacobean masque setting frozen in stone; and CHATSWORTH, where the collections and gardens of the Dukes of Devonshire span more than four centuries. Other highlights include CALKE ABBEY, with its left ‘as found’ interiors, and the crisp neo-Classical KEDLESTON HALL. The final part of the course will explore the great estates and collections of Bedfordshire and its neighbouring counties: AUDLEY END, the palatial Jacobean house of the Earls of Suffolk, later remodelled by Robert Adam; the complex landscape gardens of STOWE; the rich Palladian interiors and collections of WOBURN ABBEY, the seat of the Dukes of Bedford; and WIMPOLE HALL, with its Baroque chapel and library designed by James Gibbs for the bibliophile 2nd Earl of Oxford. Throughout the course, lectures and seminars will be held, and discussion stimulated on all aspects of the country house including, conservation and restoration, display and interpretation. A number of private houses and collections will be visited details of which will be available in due course. Completed applications must be returned by 29 January 2019 and should include a statement of how attendance on the Attingham Summer School may benefit the candidate’s career, together with a letter of professional reference. Please email lorna.gartside@attinghamtrust.org if you have any queries when completing the form. In addition to general enrolment, several scholarships are available for candidates on the 2019 Summer School. To qualify for a scholarship, applicants should be in full-time employment in a museum or art gallery, or with a conservation body, or equivalent organisation. Alternatively they should be practising architects concerned primarily with conservation, or be post-doctoral researchers with a specialism in the country house and collections, or be teachers of the fine and decorative arts. The scholarship funding available is thanks to the generous support of various individuals and charitable foundations. Since this amount is limited, applicants who are unable to meet the fees are encouraged to approach their institutions for full or partial financial assistance before applying for the course. Any candidate wishing to apply for a scholarship must complete the scholarship application at the end of the form and provide details of his/her current salary. Candidates, other than those from the USA, awarded a scholarship either wholly from The Attingham Trust, or financial support in combination with their institution or a separate funding body, are required to make a personal contribution of £200 to support the work of the Attingham Educational Charitable Trust. The Council of The Attingham Trust reserves the right to adjust fees if there is a substantial change in the exchange rate, as these were assessed on the basis of assumptions made in September 2018. Should this prove to be necessary, members will be informed by 1 April 2019. Applicants should be in full-time employment in a museum or art gallery, conservation body or equivalent organisation, practising architects concerned primarily with conservation, or be post-doctoral researchers with a specialism in the country house and collections, or teachers of the fine and decorative arts or architecture. Applicants will be notified of the outcome of their application during the second week of March 2019. To secure a place on the Summer School, successful applicants are asked to make an initial deposit of £350.00 (where applicable) with the balance of the full fees payable by 30 April 2019. Participants are strongly advised to insure against cancellation as refunds will not be payable once a place on the programme has been confirmed. Please note when making your application that this is an intensive and physically strenuous course and you should have a good level of spoken English. Whilst we are happy to cater for vegetarian and gluten-free needs, other specialist diets cannot always be accommodated. The course fee, which includes the US handling fee, is $5,830. A downloadable PDF form is now available from the American Friends of Attingham website. For any assistance please contact Mary Ellen Whitford, American Friends of Attingham, 205 Lexington Avenue, Suite 1600, New York, NY 10016, USA. Email: admin@americanfriendsofattingham.org; Tel: 001 (212) 682 6840. Applications can be made online below. For any assistance, please contact Lorna Gartside: lorna.gartside@attinghamtrust.org.